Worldmap: What style would you prefer? Icons, like ASCII but prettier. Hand-drawn, like an old-timey sepia map. Full graphics, like JRPGs with full-on sprites. Same as the tileset ingame. Forests would use the tree sprite, mountains a rock sprite, etc. Other. Please post your ideas/examples. You might actually be able to show different sprites depending on primary ingredient. And they are better than "fly brain & fly eye cookies", with no other ingredients? Or a majestic roast of "mushroom, mushroom, mushroom, mushroom". I know, but with X meals and Y ingredients, that might be a few sprites more than I'd like. I like the copper tileset too. You could probably re-color it for the varieties of brass as well since Brass is a pretty steampunkish metal too. 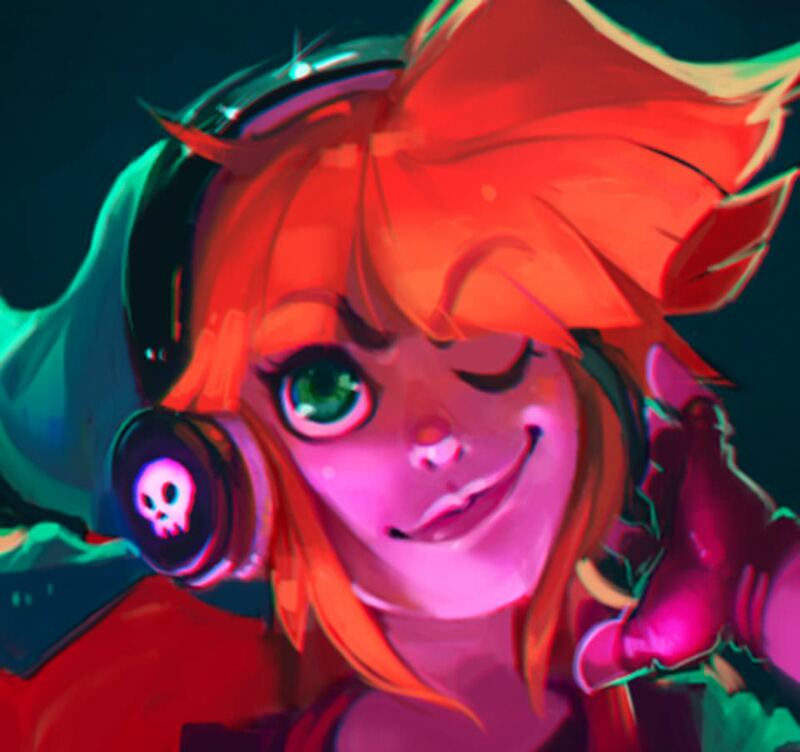 No need to recolor it; it gets color ingame. You can support the tileset on Patreon or as a one-time donation on Paypal. Eyes, guts, brain, stomach, heart, kidney, liver, nerves, spleen, meat, lungs, gizzard... even fat and tallow got new graphics. As you can see, a rotten refuse-version also exists, making it easy to identify what causes all the miasma in your forts. Please excuse the maggots. Last, but not least, I'm working on the look of refuse stockpiles. You can see a variety of different bodypart and corpse sprites, which will get assigned randomly to the fitting type. For example bird corpses take from the selection of 8 bird skeletons you see; below that are the canine corpses. That's it for now. I have several ideas for future additions, but wanted to wait for the feedback about this update. PS: The bodyparts depend on the creature_material, so I have to add them for each individual creature. So far I've only added them to the domestic ones; since those are the ones you butcher the most. 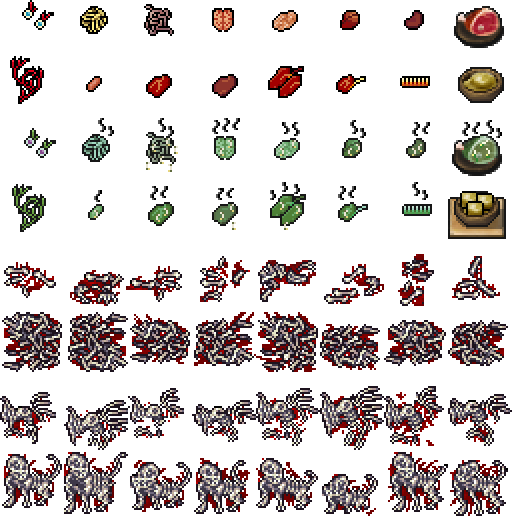 Re: ☼Meph Tileset☼ V4.2 (32x32) - 44.12 - updated 14th Sep - BODYPARTS! I suspected a new update was coming out. If there's nothing coming for the foreseeable future, I suppose I'll have to get to work soon, eh? Hi, update your pack to latest version of my dwarves and goblins(.png and .txt). Splint: I guess you do. Vordak: Sure thing, will do on the next update. What exactly is planned? You've been updating pretty consistently every few days, which is part of why I haven't started the fort, just as a precaution. Anything major? Lots, I have an eternal to-do list. But nothing that should stop you from starting a fort, otherwise you never start. Yeah, but it's like a new version of DF - will the new stuff you make always be save compatible? In all seriousness though, if there's no major material sets due anytime soon, I'll finish my drawings and hop to it soon enough. Depends on the update I make. 1. New twbt sprites, overrides, etc: Completely compatible. 2. Changes to existing raws, compatible, if you update your save manually. 3. Additions of new raws, incompatible; requires a new world-gen.
Changes to extras, like utilities, the launcher, etc should always be fine with older saves.